No matter how hard you try to be a perfect partner for your special one, there are certain things that do not go well with Valentine’s Day. You might think Valentine’s Day is all about expressions of your love filled emotions and well, you are WRONG! Valentine’s Day come with certain rules and regulations. And this is to assure that you don’t end up doing too much or too little for your partner. 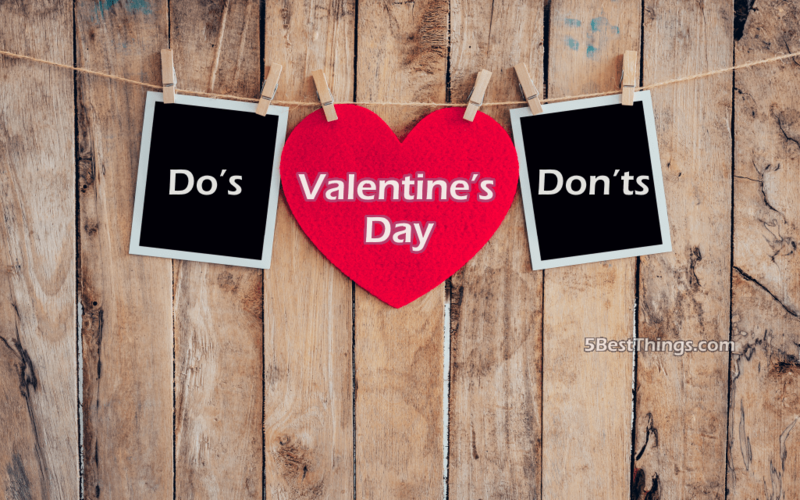 So, if you want to score the goal on Valentine’s Day and wish to make this day even better than ever, here are some Do’s and Don’ts for the Valentine’s Day. Take the guide. For God’s sake, avoid using your phone for a day and give an undivided attention to your partner. No matter how important your phone is, you have to realize your partner should be your number one priority on this day. While you wish to be pampered on the the special day, you need to keep in mind that your partner might have a different notion of celebration. Therefore, don’t expect hugely romantic gestures. Spending too much on one day is a bad idea. Know that your low account balance would affect other days too. So, decide the budget and plan something sweet without going extravagant. Even if you both do not believe in the idea of Valentine’s Day celebration, celebrate the day and your relationship. Your love ought to be honoured. Therefore, plan something even if is on a very small scale. Gifting your partner kitchen appliances or furnishing decors are a No-No. Make sure you buy something personalized for your partner that reflects your love and thoughtfulness. A little effort goes a long way. Make sure you cook something special for your partner and pamper them with something of their liking. Your partner would be delighted to see that you are going an extra mile for bringing a smile. A love letter is better than any kind of greeting card or swanky gifts. Even if you are too clumsy with words, expressing your emotions on pen and paper would touch your partner’s heart like nothing else. While planning to send Valentines day gifts to him or her, make sure you keep on surprising your partner throughout the day. One gift at the seat of the car, other at the breakfast table, next at the office desk till the end of the day with the biggest one saved for the end of the day. Your last minute gift idea should be right on point. Buying rose petals and decorating the room with it or sending a flower bouquet would save you from having the day spoilt with no plans. If you are planning to dine out together, make sure you show your love by going to pick her up. If this is something that you usually do, arrive all suited up unlike other days and open the car door for her. With these Do’s and Don’t on Valentine’s Day, have no fear and dazzle up the day with a perfect date!